Limited edition. Unlimited reasons to get excited. 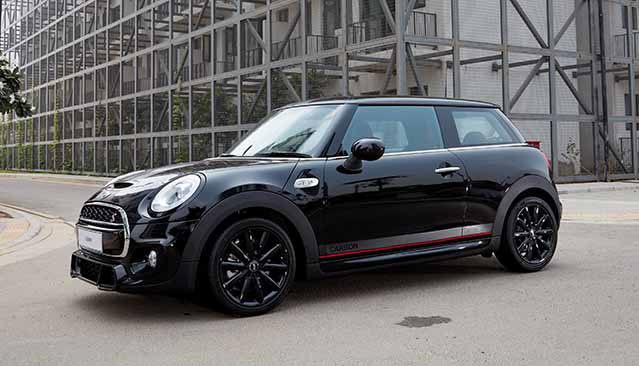 The MINI Cooper S Carbon Edition – a mean machine born for the road. Inspired by the rugged streets, this limited edition MINI is boldly outfitted for seekers of thrill and pure excitement. When it comes to making a statement, the MINI Cooper Carbon Edition combines the power of the Hardtop 3-Door Cooper S and the Pro Tuning Kit of the John Cooper Works Pro, giving you a roaring 210 hp of power with 300 Nm torque, capable of doing 0-100 kmph in a mere 6.5 seconds. MINI has always taken the road less travelled. With Only 20 units available for booking, for the first time in the luxury segment enthusiasts could book this powerhouse exclusively on Amazon India. The machines were limited, but the excitement wasn’t. And it showed in the results with all 20 being sold out in no time.